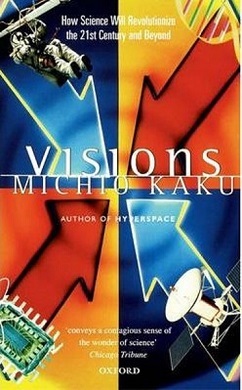 Visions – written by Michio Kaku and published in 1998. It’s an interesting read in the current era, seeing how much of the then proposed technology is now in everyday use. The Blurb: From the bestselling author of Hyperspace, this spellbinding book brings together the cutting-edge research of today’s foremost scientists to explore the science of tomorrow. Michio Kaku describes the development of computers and artificial intelligence, reveals how the decoding of the genetic structure of DNA will allow us to alter and reshape our genetic inheritance, and observes how quantum physicists are perfecting new ways of harnessing the matter and energy of the Universe. Visions is an exhilarating adventure into the future of our planet and ourselves.